Dr. Robert Tevis and his wife Marion get a divorce after decades of marriage and three grown up children, who had already flown from the nest. “Take this”, she says on the first page, while she hands her now ex-husband the diamond ring she had been wearing for so many years. After that, Marion goes to Costa Rica with her boyfriend Jed Blackstone and Robert, a psychotherapist, embarks on a long and adventurous road trip driving an old caravan. 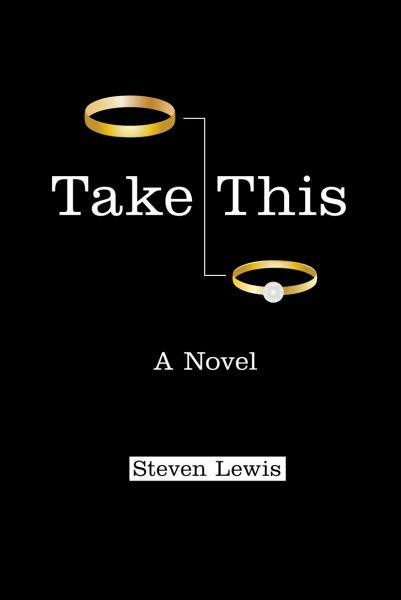 This is the plot of Take This, a novel that will lead you to the intricate – sometimes sweet, sometimes rough – paths of family, friendship and love. Our own children can show up and be like strangers, while new friends may surprise us, and act like family. Love becomes hate, and vice-versa. All in the same pot, artfully mixed by Steven’s great writing. He knows what he is talking about. Lewis is married to the same woman for 45 years, has seven children and sixteen grandchildren. He is a Mentor at Empire State College, a member of the Writing Institute faculty at Sarah Lawrence College, and a longtime freelance writer whose publication credits include The New York Times, The New York Times Magazine, The Washington Post, LA Times, West (LA Times Sunday Magazine), AARP, Ladies Home Journal, Beliefnet.com, Confrontation, Commonweal and a long list of parenting magazines. His more recent books are Zen and the Art of Fatherhood, The ABCs of Real Family Values, The Complete Guide for the Anxious Groom: How to Avoid Everything That Could Go Wrong on Her Big Day and Fear and Loathing of Boca Raton: A Hippies Guide to the Second Sixties. The separate journeys of Robert and Marion are intercalate in different chapters, as we put together the traces of their long relationship, and what led them to this moment of rupture. Robert meets a group of sweet and unusual friends, Marion faces the challenges of being an American expat in Latin America, while their children gravitate around both, showing that there’s no geography to break family bounds. Wherever they are, they are together. Their story is funny and bittersweet in perfect timing. Their journey can resonate in different ways to readers, it doesn’t matter if you have a family to deal with or not. Don’t be afraid to look at yourself and the many types of love and conflict surrounding you: go to the nearest bookstore or online and take it. 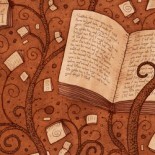 This entry was posted on December 3, 2015 by Preeti Singh in Book Reviews, Contemporary, Fiction and tagged Codill Publishing, guest reviewer, Steven Lewis, Take This.